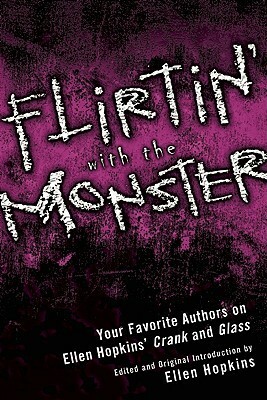 Every reader of Crank, Glass, and Fallout should pick up Flirtin’ With the Monster. If you haven’t read any of the aforementioned books yet, do it. Right now. We all have something to learn from this story. 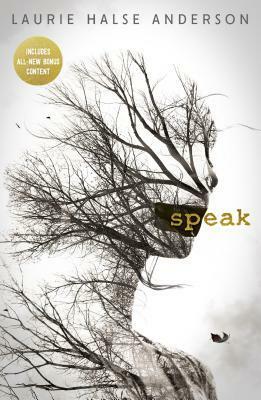 Ellen Hopkins has edited an incredible collection of essays. Our favourite authors and characters discuss everything from role models, the verse format, addiction in all its forms, and who addiction is really affecting: the user and everyone who cares about the user. Finally, the reality of drug abuse isn’t embellished, but accurately and honestly depicted by those who’ve witnessed it first-hand. The best and most effective parts of the book, of course, are the essays by Hopkins’ family. Specifically, the essays by “Kristina” (who remains anonymous) and “Hunter” (Orion Hopkins) bring the Crank trilogy into real perspective. Here, we see addiction through the addict’s eyes, through the eyes of an addict’s child, and we witness how addiction is alive, and sometimes thriving, for entire lifetimes. “Kristina’s” essay explores addiction through the eyes of a sober addict. Readers have their eyes opened to a little more of her story’s truth: more devastation and more unbelievable consequences. Finally, parts of “Kristina’s” story can be told by the addict herself. Particularly, I found “Kristina’s” confession about manufacturing meth and witnessing a murder incredibly moving. How many people can honestly say they’ve experienced things like that, let alone admit to having those experiences? To top it all off, “Kristina” is a beautiful writer, even despite her permanent brain damage. To know now that the real-life “Kristina” has returned to her crystal meth addiction is heartbreaking. Her words are so honest and powerful, “Kristina” can hit home just like her mother does. Eleven-year-old Orion Hopkins’ essay is also startlingly realistic. I love that we get to hear from “Kristina’s” first-born child: who better can tell of the destruction that another’s drug use has on other people (excluding Ellen, of course)? We’ve been reading about this boy from his infancy through to the future, and in that we feel like we know him. Throughout the Crank trilogy, we constantly pulled for “Hunter,” hoping his mother would find her way out of the darkness that is “the monster.” Everyone wants to know that her boy is alright. My favourite part of Orion’s essay is when he says, “I’ve already decided to stay far away from drugs, but I can’t promise to be perfect.” Even at eleven years old, Orion recognizes that mistakes happen, and that some mistakes have more serious consequences than others. Orion shows us, as readers, that addiction truly touches everyone. Addiction is always there and the monster is a constant threat, but if you choose to fight it, you can beat it. If you loved the Crank trilogy, you cannot miss this book. In a simultaneously devastating and endlessly fascinating examination, Ellen Hopkins has collected the thoughts of people who have faced more wreckage than some do in a lifetime. Learning some of life’s most difficult lessons, with none of the consequences, is a chance everyone should be given. My full review of Ellen Hopkins’ Flirtin’ With the Monster is also available on Goodreads. Have you read Flirtin’ With the Monster? What did you think? Please leave a comment below (spoiler free)!